Audio Scripture Ministries just hit an exciting milestone this month — 50 years of ministry! Their mission is to provide the Bible in audio so everyone will have the opportunity to hear God’s Word in their own language. Approximately 5.7 billion people around the world are oral learners — people who learn through spoken communication rather than literate communication and may not even be able to read. For these types of learners, a written Bible is ineffective. It’s these people that ASM is especially trying to reach with God’s Word in audio. They hope to continue partnering with mission organizations, churches, and individuals to advance future audio Bible production and distribution and, potentially, other biblical resources in audio, as well. So how is ASM celebrating half a century of ministry? 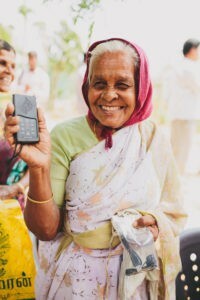 Frizzell shares, “Audio Scripture Ministries has a 50th anniversary celebration goal of raising $100,000 towards the distribution of audio Bibles in India, in Mexico, in Mozambique, and elsewhere to really help get God’s Word in the hands of those who need it most. 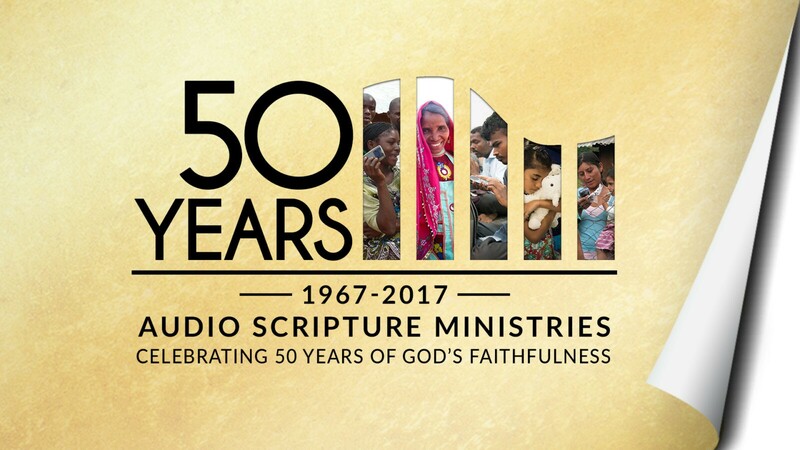 Click here to support the 50th Anniversary Audio Bible fund with Audio Scripture Ministries! As ASM forges ahead into the years and decades of mission work to come, Frizzell says they are bathing everything in prayer and asking God for wisdom. Please pray along with ASM for God to bless the distribution of audio Bibles to oral communities and unreached people groups who need to hear the life-changing message of the Gospel. Pray for boldness and refreshment among their field workers and that the Lord would open doors for the Good News to go out.